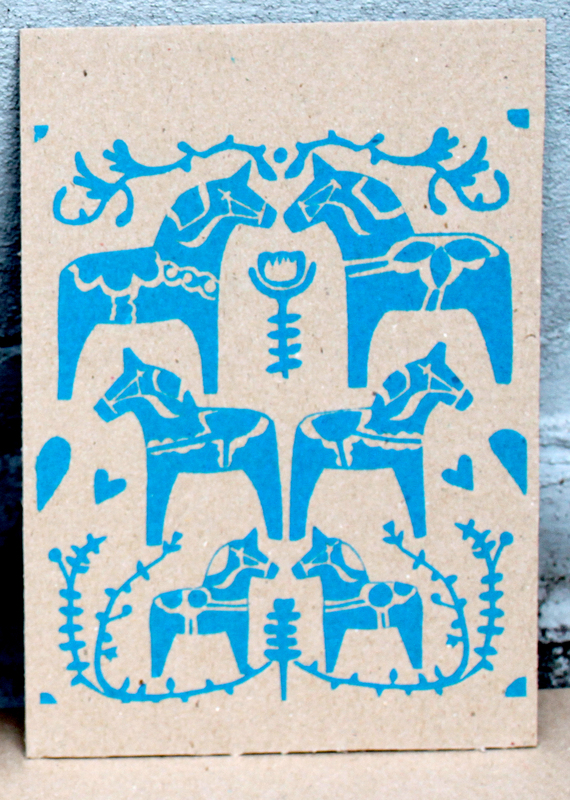 *NEW* Scandi-horse prints: on sale online and at Milkwood market! I’ll be at Milkwood Market at Milkwood Gallery in Cardiff tomorrow selling these, as well as other illustration, print and book work. 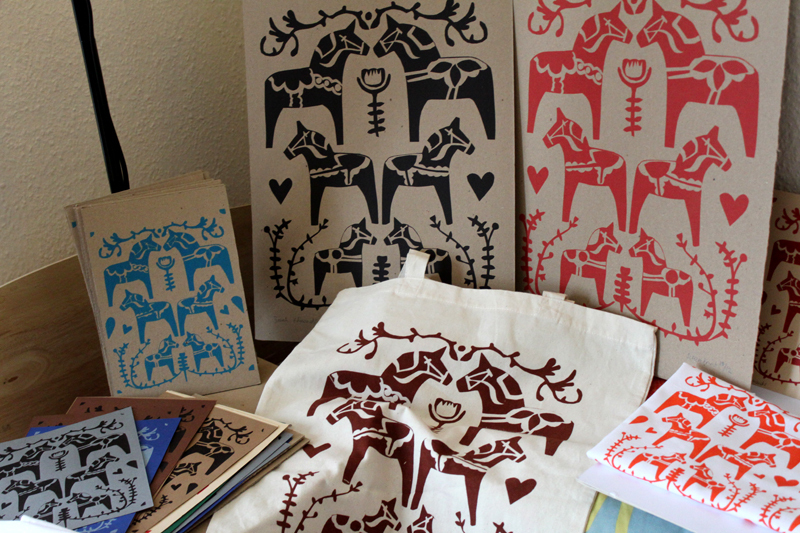 Also, these items are on sale in my SHOP so do have a look and pass the link on. The Gorilla’s Guide to Guerilla Knitting is now a digital print, although there are still a few screen prints left. 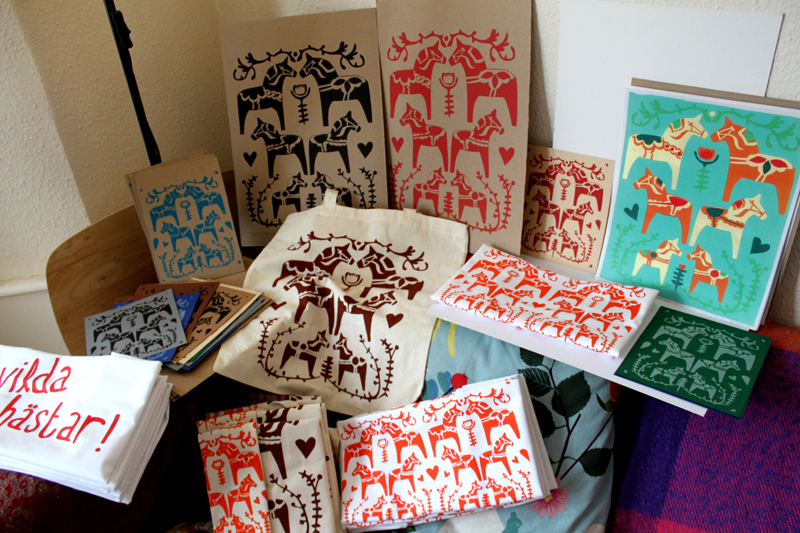 Today really has been a geeky stock-taking / pricing / packaging day but I’m glad to be prepared for the (hopefully busy) market tomorrow. Enjoy, dear people. I’m off to count sheep.